Dr. Mandel’s passion for healing began at a young age, starting with nursing a robin back to health by feeding it with an eye-dropper after its unfortunate encounter with the neighborhood cat. Since then, he has become an internationally recognized pioneer in the treatment of depression, other mood disorders, and chronic pain conditions with IV Ketamine Infusion Therapy. 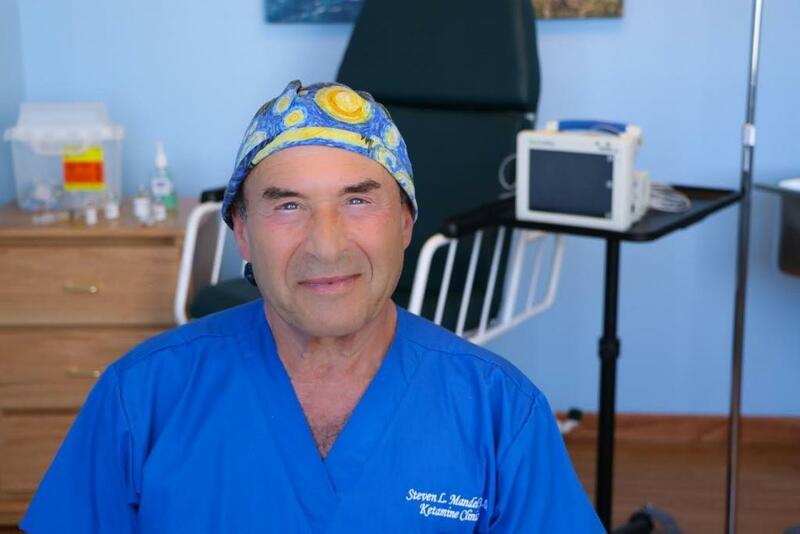 To date, he has personally administered over 5,000 infusions to over 700 patients. By way of his contributions to IV Ketamine Infusion Therapy, he has been called upon by various television networks, podcasts, radio programs, and news outlets, such as The Doctors, WIRED video special, ROKU, PBS, CBS national news, WIRED Magazine, VICE, Los Angeles Magazine, Anesthesiology News, Yahoo News, and San Francisco Daily, to comment on the procedure. In addition, physicians from all over the United States seek his guidance in developing ketamine infusion clinics of their own. New York University, majored in psychology in addition to completing his pre-medical studies. University of Cincinnati Graduate School in Psychology on a full scholarship, earned his master’s degree. University of Southern California Keck School of Medicine, earned his medical degree. Massachusetts General Hospital and University of California Los Angeles Center for the Health Sciences Residency in Anesthesiology.